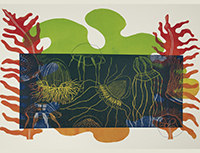 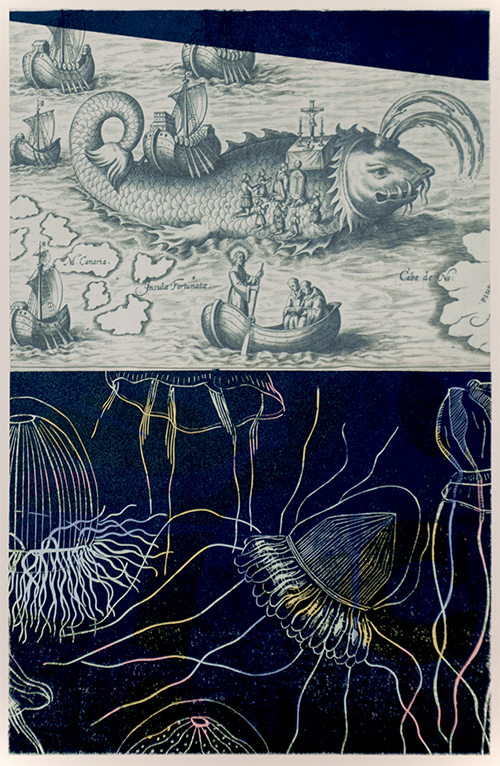 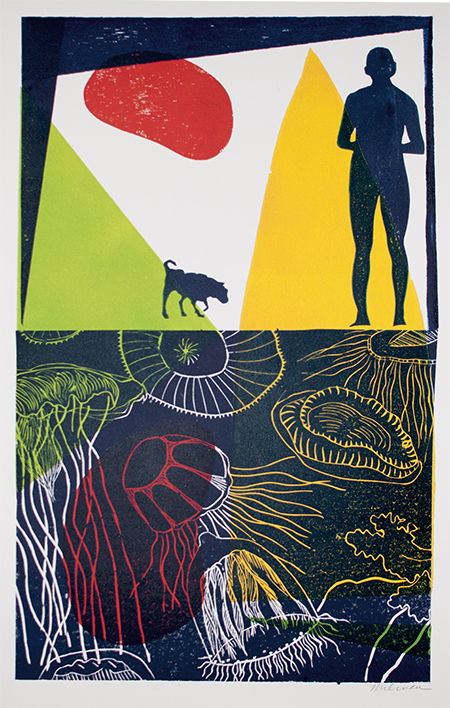 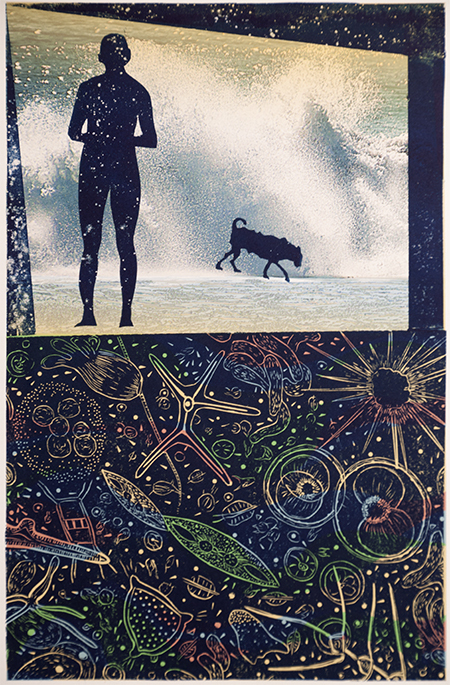 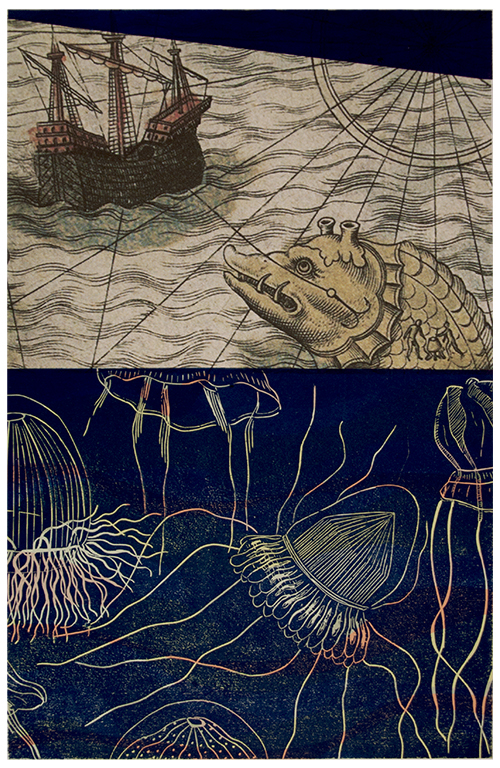 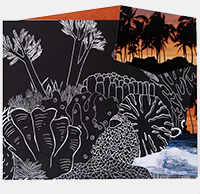 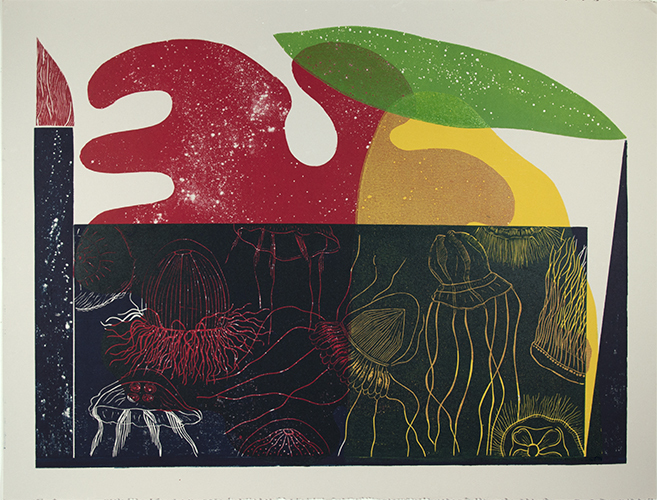 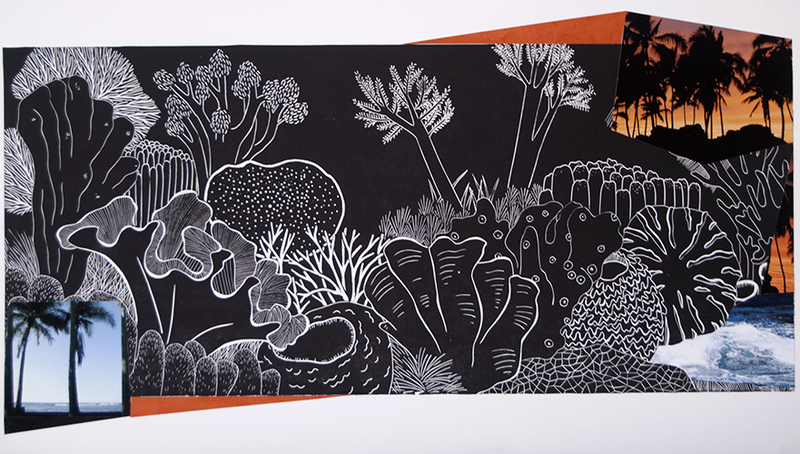 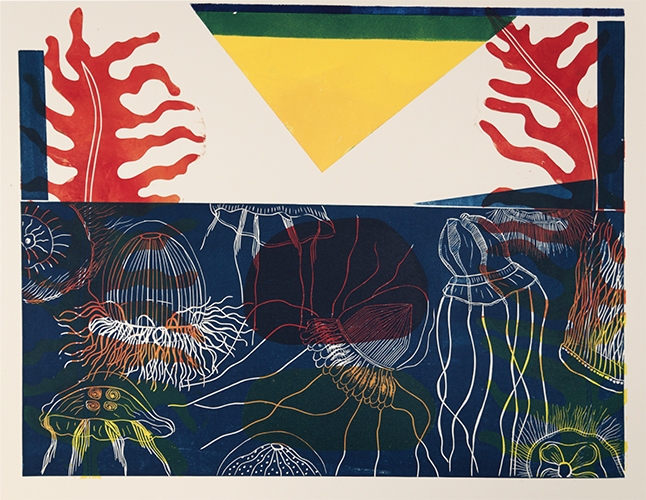 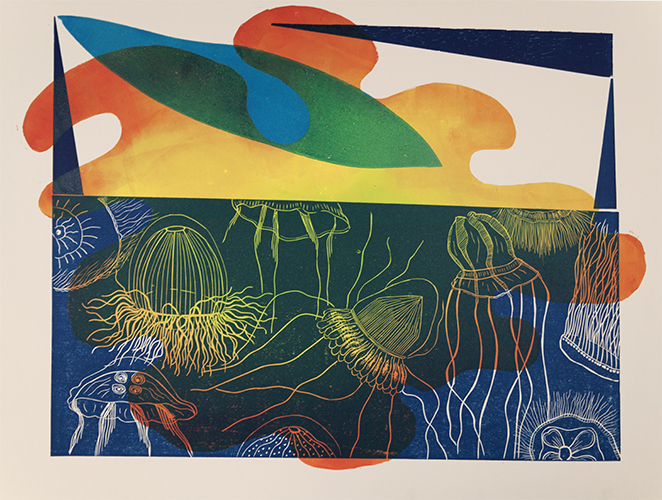 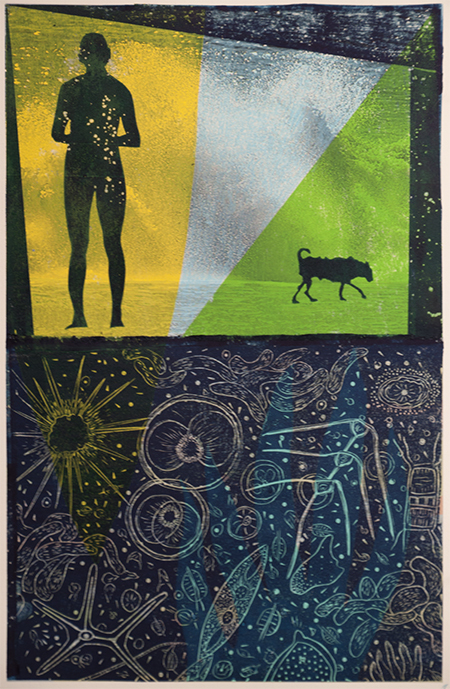 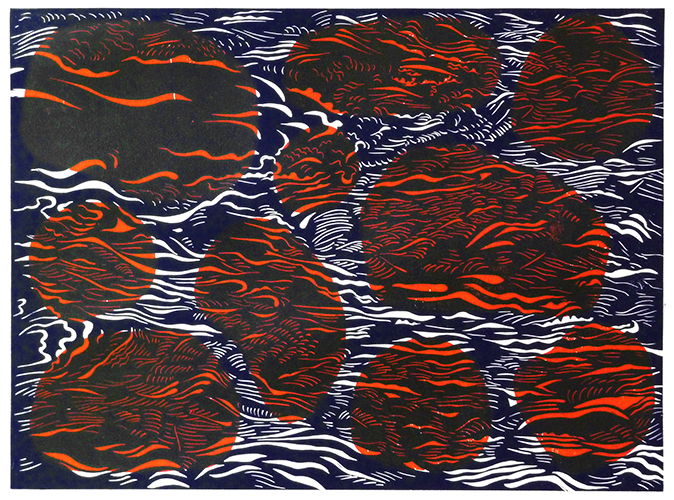 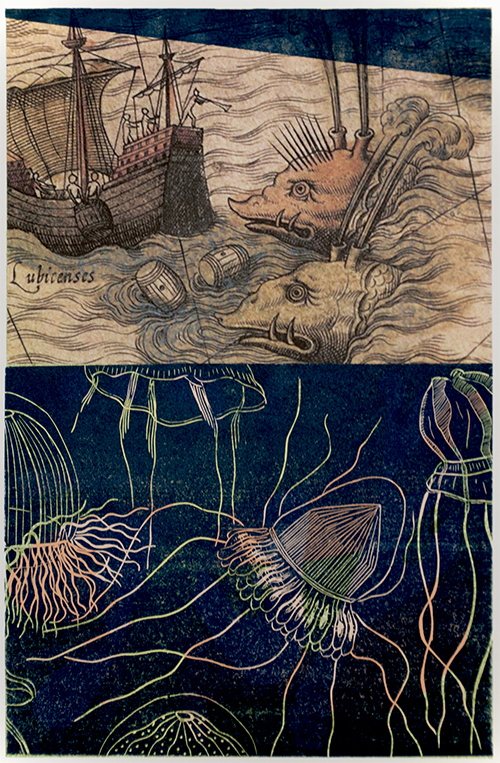 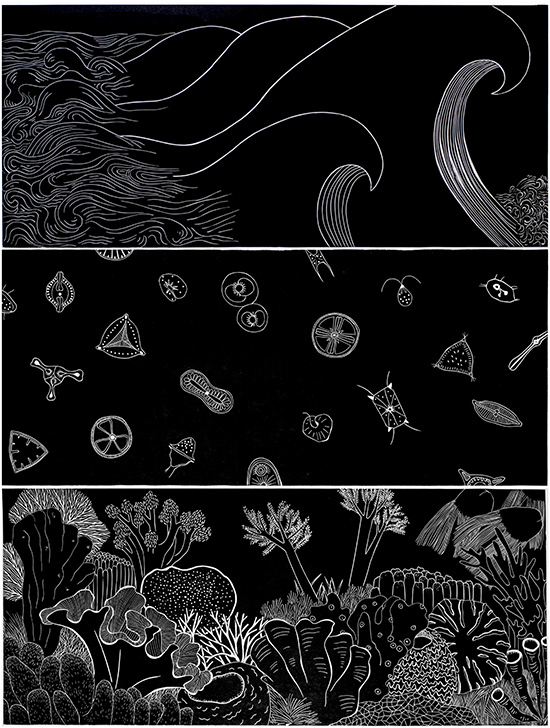 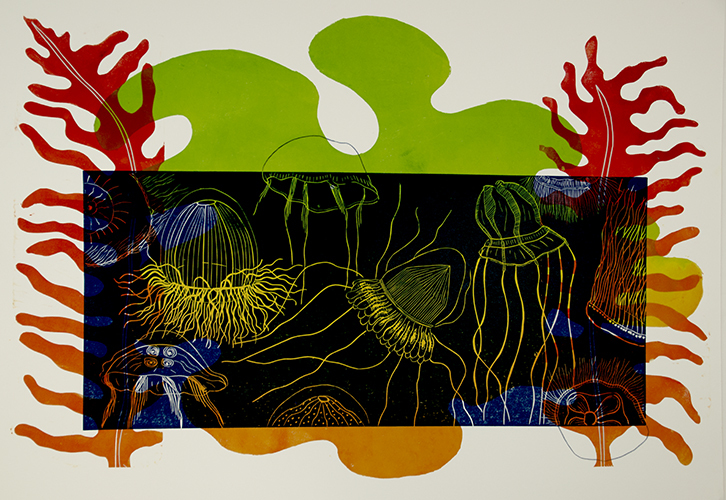 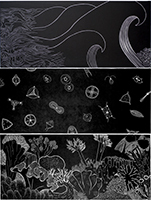 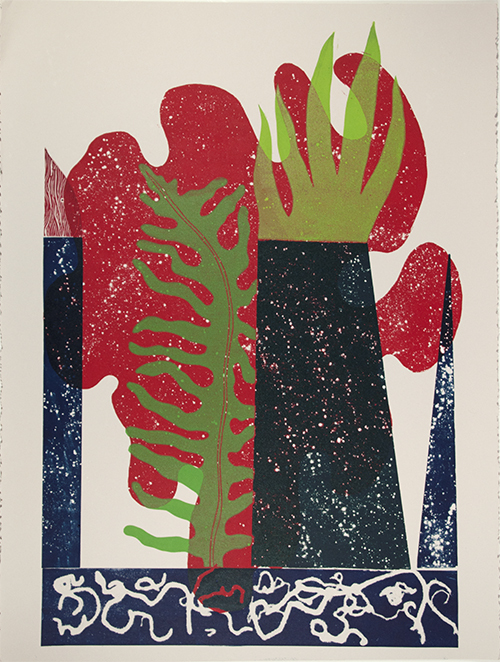 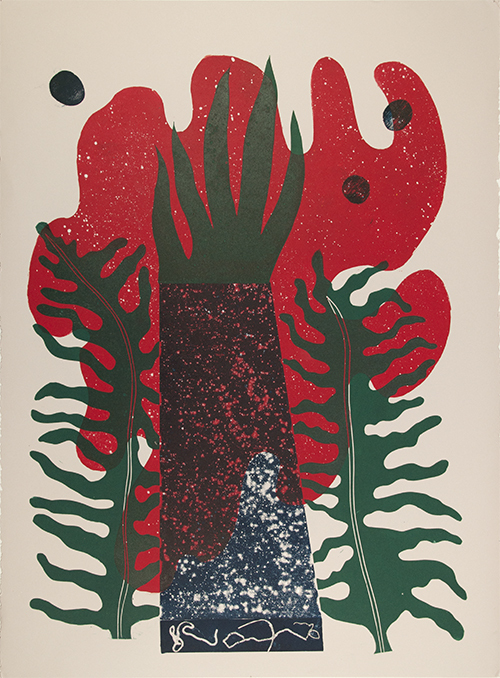 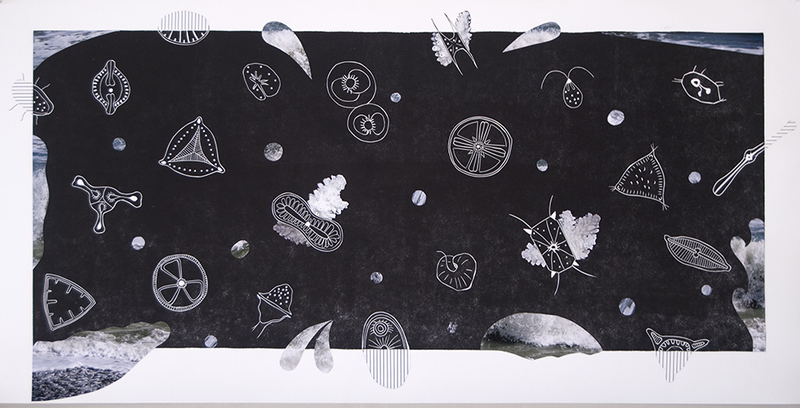 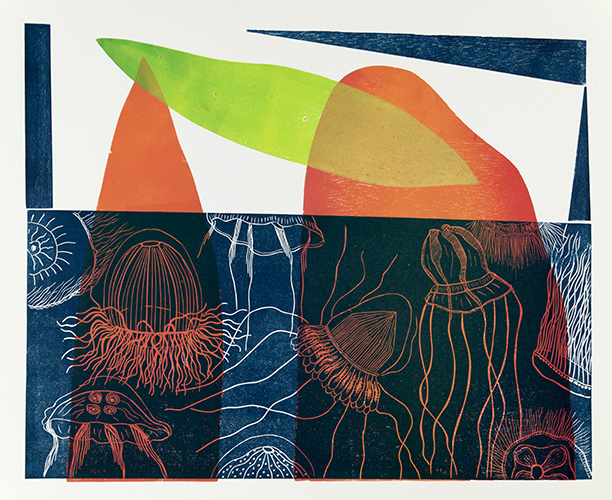 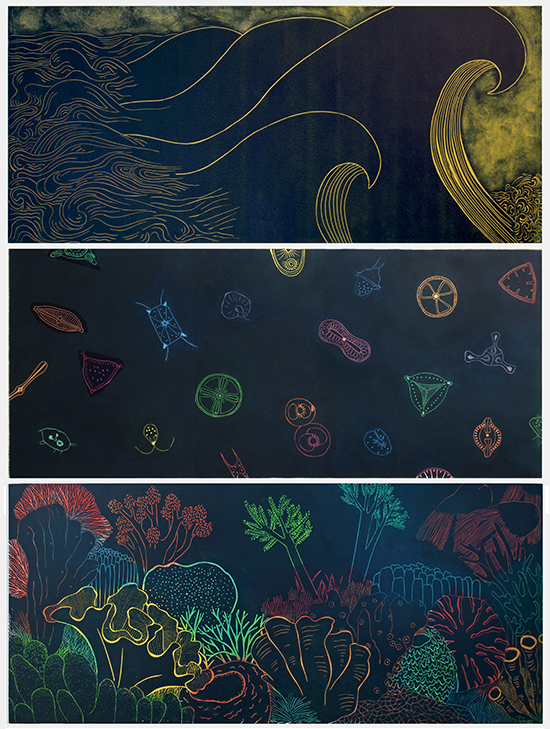 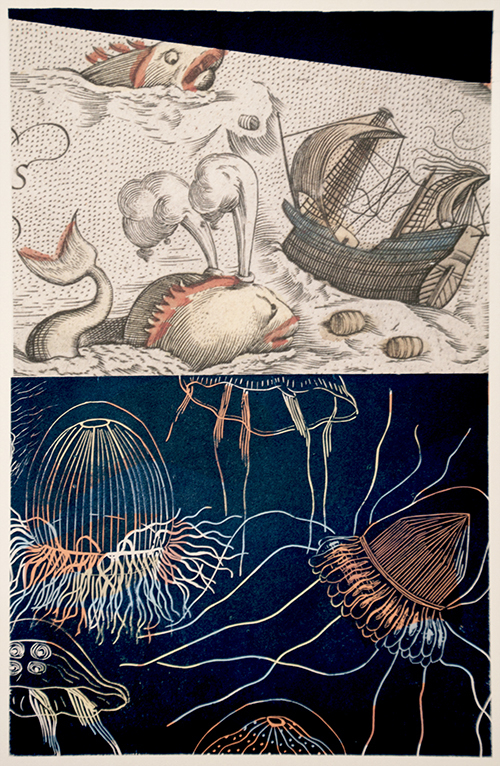 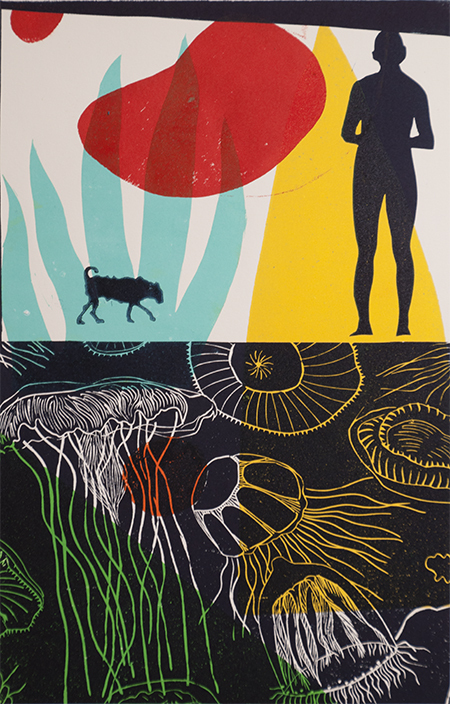 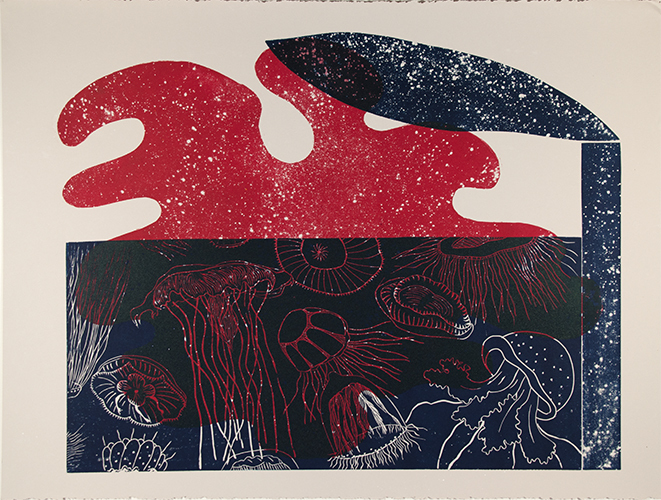 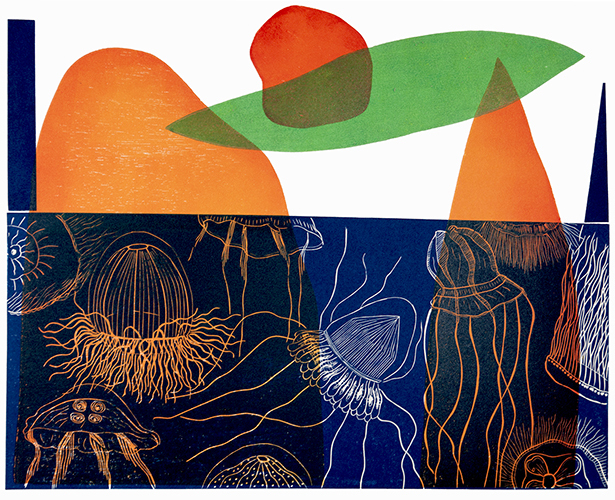 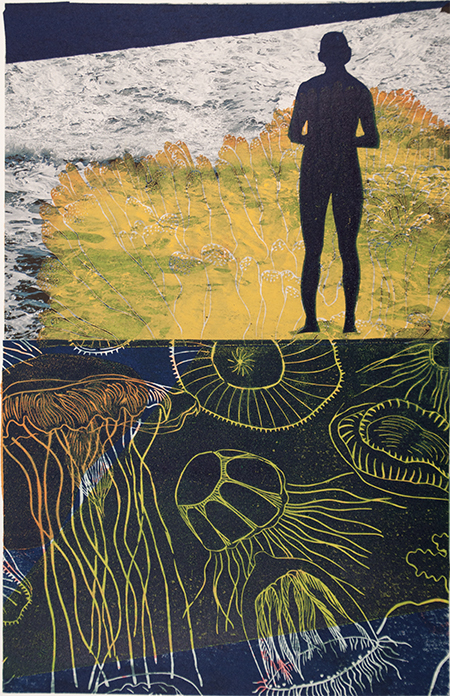 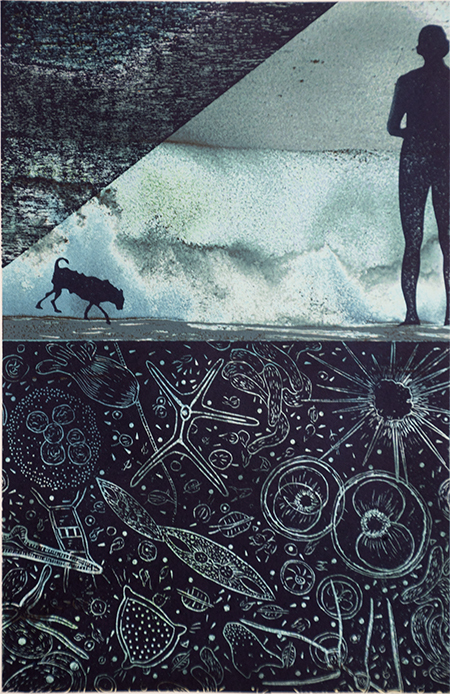 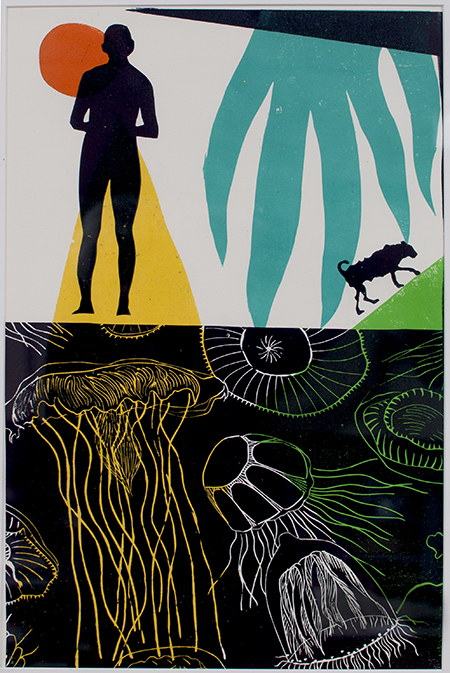 These prints combine linocuts, monotypes, and digital inkjet printing. 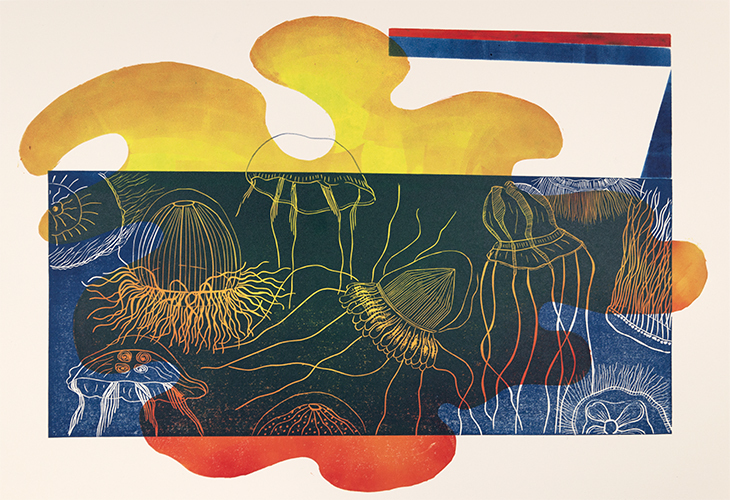 They are all about climate change: about jellyfish that will survive climate change, about coastal mangroves that are threatened worldwide by climate change, about oil spills like the Deepwater Horizon spill in the Gulf of Mexico that polluted the ocean with leaking fossil fuel, and about coral reefs that are bleaching and dying in oceans everywhere. 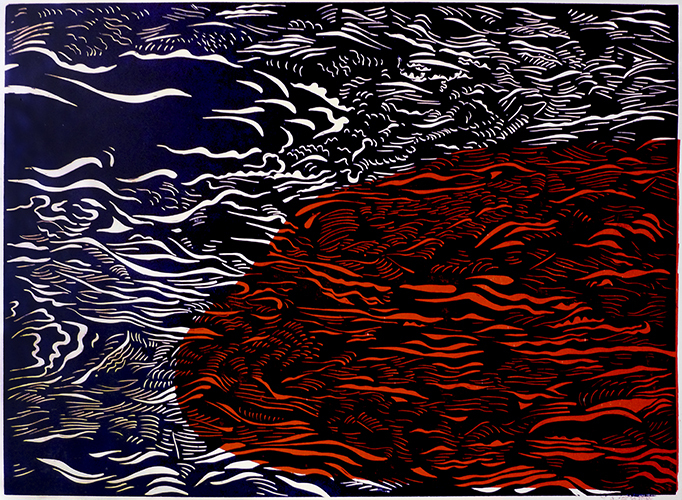 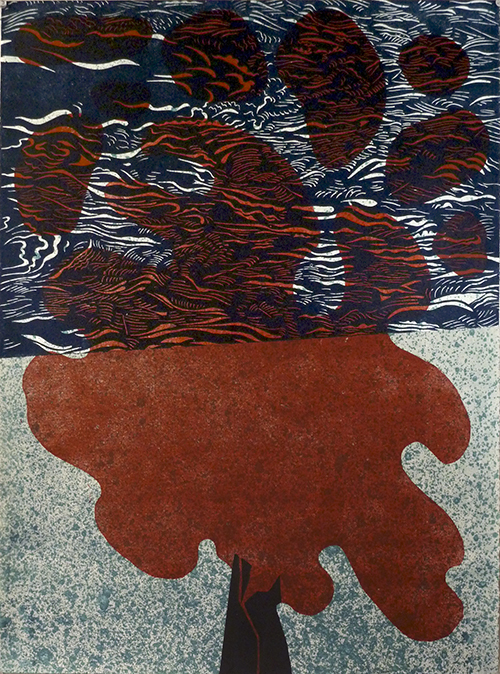 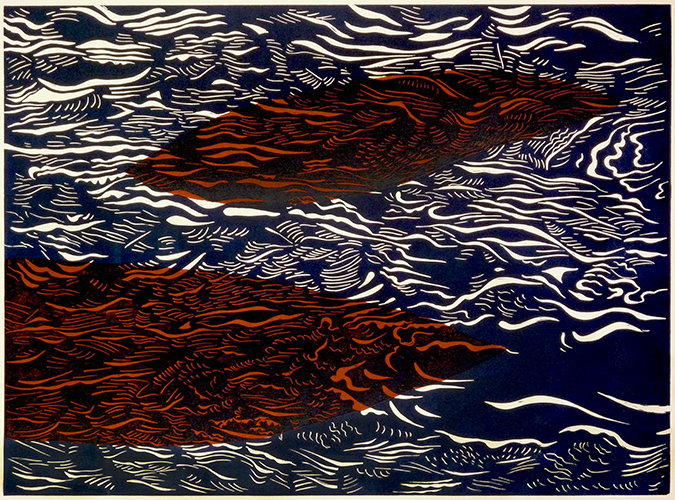 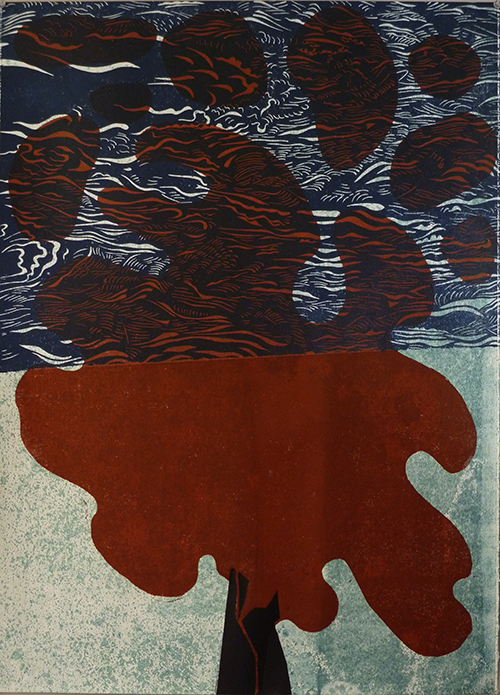 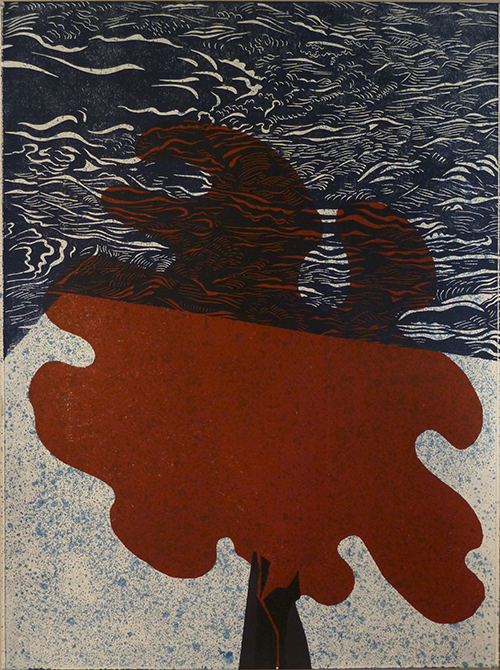 Oil Spill #2, linocut, 22" x 30"
Danger (Endangered) Zones 55" x 39"